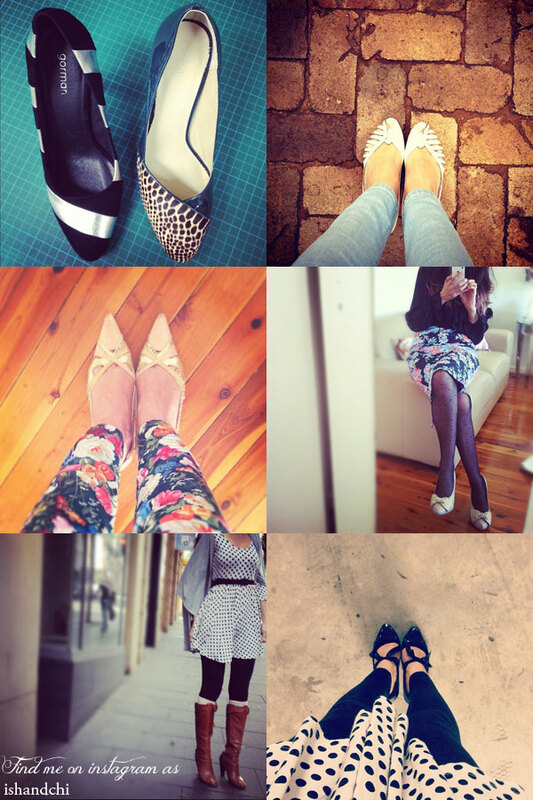 I thought it would be fun to show you some of the footwear I have been wearing lately and sharing with instagram friends, including a couple of new purchases (top left - Gorman has a footwear sale on at the moment!). My fashion weakness is shoes. I don't spend a lot on them, on the odd occasion I might indulge but mostly I buy on sale and only shoes I know I'll wear often. I feel so guilty and wasteful otherwise.